I adore Portugal for holidays and have visited with my family for the past four years and I’ve even got two trips planned there (so far!) for next year! There are loads of reasons why I love the country so much, including the laid back atmosphere of the locals, the absolutely beautiful beaches and coastlines and the amazing food. It’s also really good value for money, so if you’re looking for a reasonably priced holiday, Portugal is the way to go. I’ve so far only visited the Algarve, but there is so much more to the country than the Brits’ fave holiday destination. 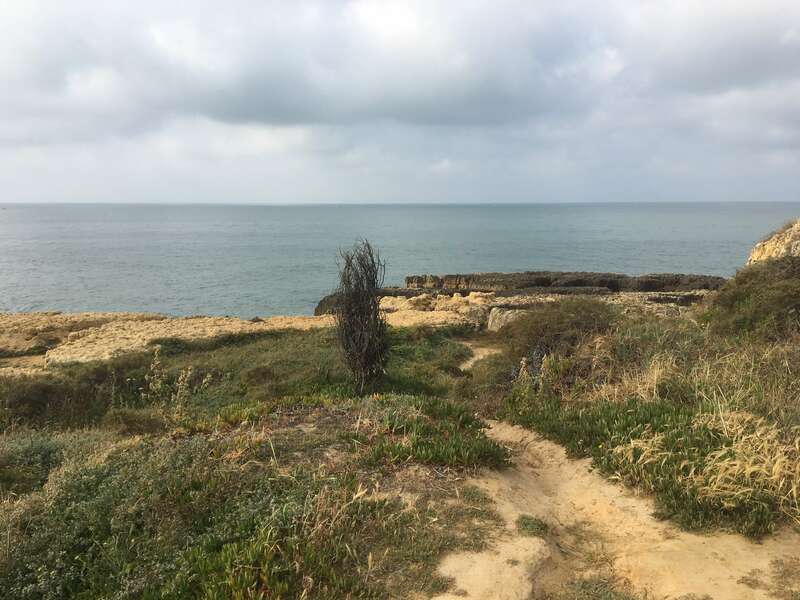 When I visit, I love to start my day with an early morning walk on the beach before exploring the towns of Silves and Taverna and the holiday resorts of old town Albufeira and Olhos D’Agua and indulging in some green wine and cataplana or piri piri chicken which the area is known for. 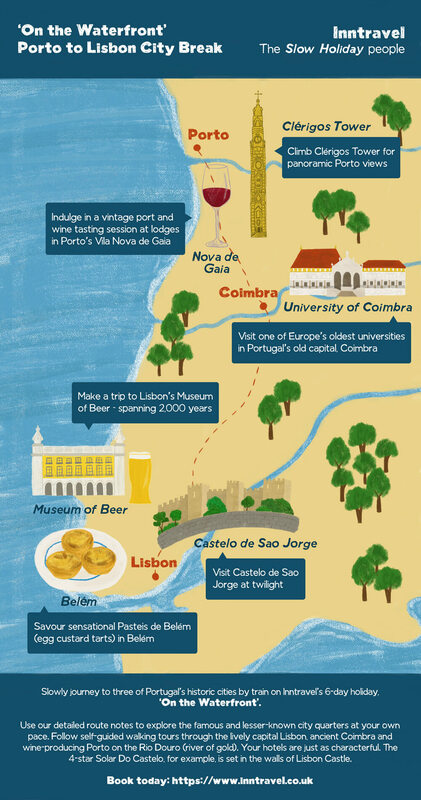 Inntravel are slow holiday specialists and have created this #JourneyThroughPortugal inforgraphic which showcases their Porto to Lisbon holiday route. Slow holidays are all about taking your time and taking in the local sights and scenery – relaxing and recharging on your trip as well as exploring and it sounds pretty perfect to me. I’d love to explore more of Portugal and Porto and Lisbon are top of my list for city breaks there. The tour is by rail and is a great opportunity to see some of Portugal’s lesser known corners. On the Inntravel tour there are self-guided walking tours through the capital of Lisbon, ancient Coimbra and wine-producing Porto. One of the highlights for me would be the vintage port and wine tasting session at lodges in Porto’s Vila Nova de Gaia – I can just imagine sipping on different wines in the late afternoon Portuguese sun before relaxing for the evening in one of the characterful hotels picked for the tour. Also on the map is Sintra which is considered to be part of the Portuguese Rivieria. It’s a picturesque town set amongst the hills and it’s pull of historic buildings and beautiful scenery – perfect for your Instagram pics! What’s your favourite place to visit in Portugal? Let me know in the comments! This post has been written in collaboration with Inntravel.